St. Lawrence University, BA (1964); Columbia University, MBA (1966); University of Connecticut, JD (1971). Connecticut, 1971; U.S. District Court, District of Connecticut, 1971; U.S. Court of Appeals, Second Circuit, 1975; District of Columbia, 1980. Chairman, Membership and Finance, American Bar Association Section of Labor and Employment Law (1986-1992); Chairman, American Bar Association Committee on ADR in Labor and Employment Law (1982-1985); Member, American Bar Association Committee on International Labor Law; Sub-Committee Chairman, American Bar Association Committee on Employment Litigation (1991 – current); Connecticut Bar Association Labor Law Committee; Connecticut Bar Association Committee on Alternative Dispute Resolution (1985-1987); President, Industrial Relations Research Association, CT Valley Chapter (2001-2003). Instructor: American Bar Association Labor Arbitration Advocacy Program; University of Connecticut (several different subjects). Frequent speaker to business and professional groups on labor and employment law topics. 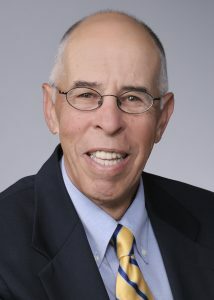 Author: “Political Forces in Public Sector Collective Bargaining,” Catholic University Law Review, 1972; “Standards of Proof in Employment Law,” Connecticut Bar Journal, 1983; “Using Surreptitious Tape-Recordings and E-Mail Intrusions…”, Labor Law Journal, 1997; contributing author: Labor Arbitrator Development, BNA, 1983; A Handbook for Connecticut Elected Officials, University of Connecticut, 1985; Labor Arbitration, A Practice Guide For Advocates, BNA, 1990; Employment Litigation Handbook, ABA, 1998. Fellow, College of Labor and Employment Lawyers; Special Master, U.S. District Court, District of Connecticut; AV Preeminent rated by Martindale-Hubbell every year since 1974; Listed in every edition of The Best Lawyers in America since 1987 in the practice area of Labor and Employment Law – Management; Listed for 2007-2016 as a Connecticut and New England Super Lawyer®: Employment and Labor.